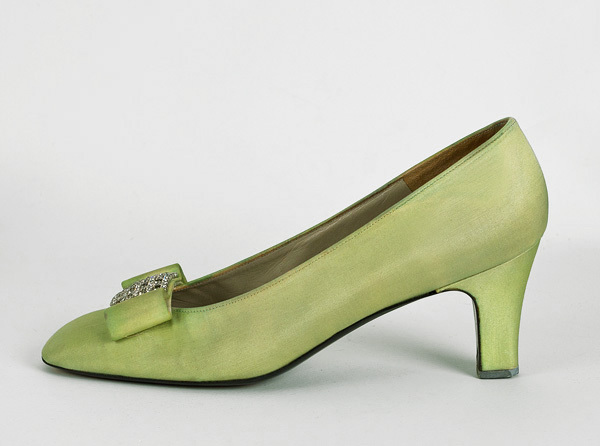 I love the idea of lime green evening shoes. 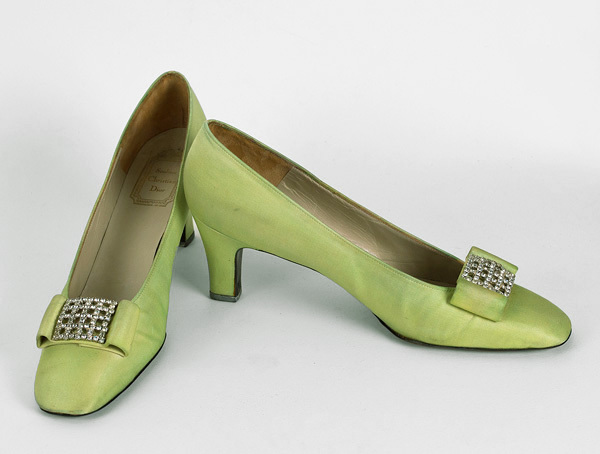 You can wear these for an evening out; or else the pumps would make a stunning display in your collection. 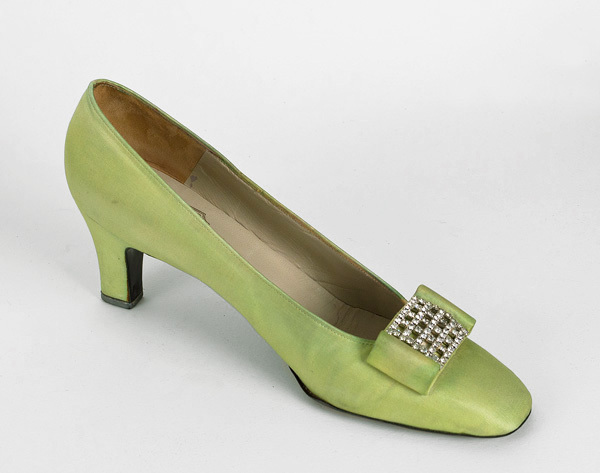 These chic shoes will fit right in with today's retro fashions. 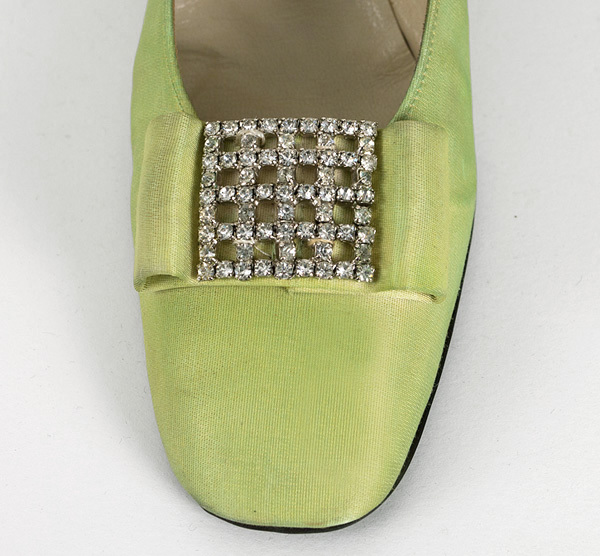 Covered with lime green silk faille, our fab shoes have toes decorated with stiffened bows and rhinestone buckles. 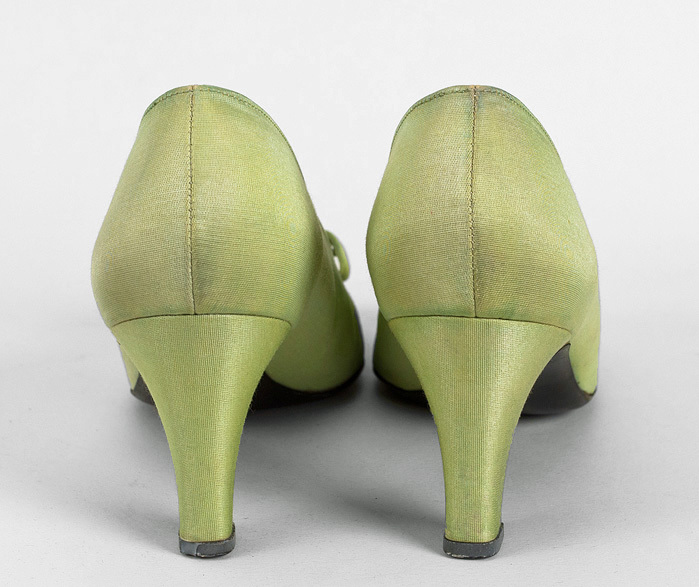 The heels are gracefully narrow but have more body than the stiletto style. 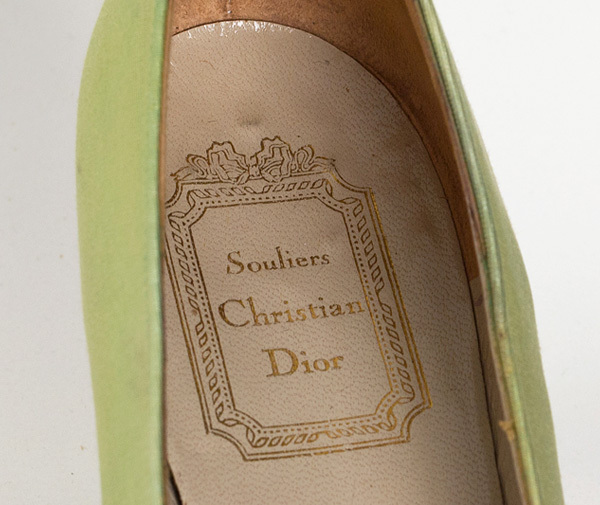 Since its founding by Christian Dior in 1946, the House of Dior has always represented high style, whether in an evening gown or with glam evening pumps! The condition is almost excellent. The color is only slightly uneven. Lighting artifacts caused the camera to exaggerate the unevenness. The size is marked 7.